Let’s talk about the best dump pouch, also commonly called a mag dump pouch. First of all, what is a dump pouch? It is a pouch – with an open top – so you can “dump” items in there quickly, but securely. 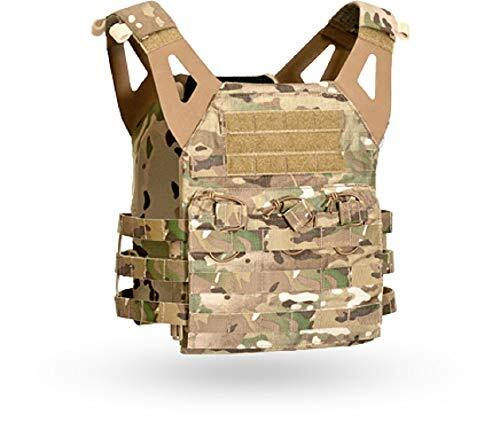 Primarily these are used in combination with a plate carrier, tactical vest, chest rig, duty belt or battle belt such that you can secure any empty or nearly empty magazines. Best practice is to NEVER put an empty mag back into your tactical vest or rig – only put them in the dump pouch! So, the dump pouch can be used to stow empty magazines, shotgun shells, or other purposes on the firing range. But, dump pouches have a lot of other uses as well. Really, the best dump pouch can be used for collecting and transporting all sorts of items securely. It can be used on camping trips to gather wild edibles or kindling while hiking, collecting apples or fruits on trips to orchards, or tomatoes in the garden. They are also popular for people doing metal detecting – to remove and store any junk items from the environment. Contractors use them for holding lots of nails and screws. Or for tools – such as when you are working on a ladder. It’s much better to carry pliers, and two different kinds of screw drivers in a dump pouch as compared to your pockets. There’s more room, and it doesn’t poke holes in your pockets. Really, a good dump pouch can be used for any objects you need to be able to quickly and conveniently store away for later. So, we’ve established anyone can make use of a good dump pouch. Let’s find out what to look for. 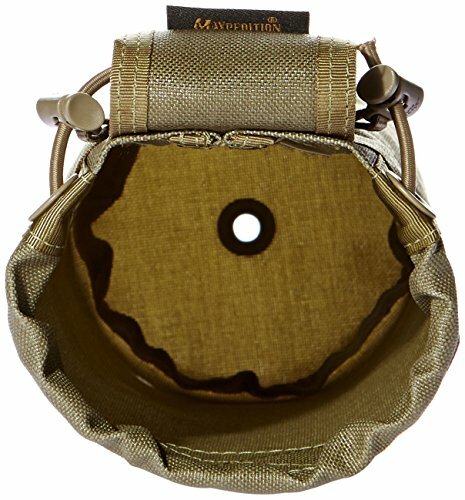 What is the best dump pouch constructed of? Mil Spec materials like 1000D Cordura or ballistic nylon are popular, but some are also made from mesh or have a drain hole or grommet at the bottom. Why? So water, sand, or other debris drain out of the pouch easily. Look for a dump pouch that packs, folds, or rolls into a minimum of space when not in use. While a dump pouch has to have a wide, easy to access opening at the top, you should look for a cinch cord, flaps, shrouds, or other feature that prevents the contents from bouncing out of the pouch as you move or run. 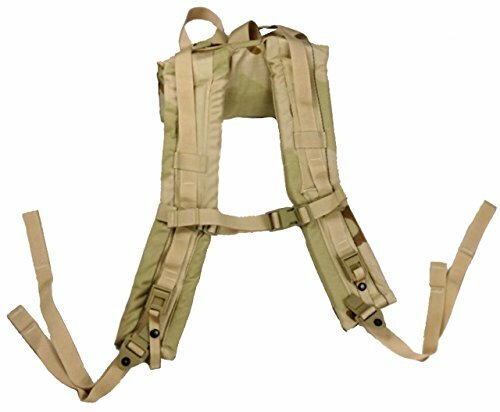 Longer dump pouches may have a leg strap, for securing the pouch to your upper thigh. 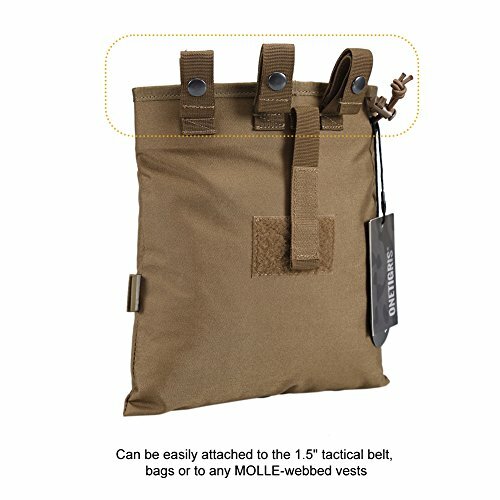 A dump pouch may attach to any web belt, but MOLLE/PALS webbing may also be used to connect to other tactical gear such as plate carriers, chest rigs, ruck sacks, and more. With that explanation out of the way, let’s look at our picks for best dump pouches. 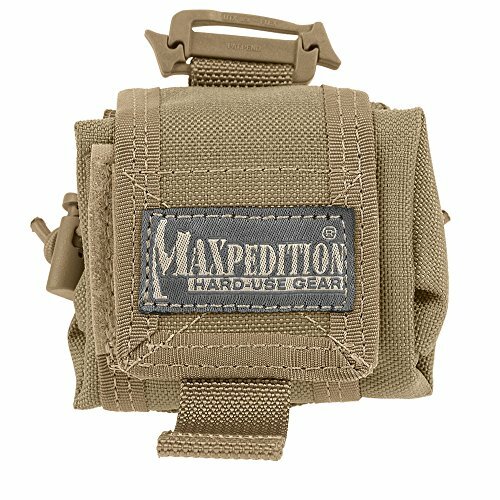 The Maxpedition Rollypoly Folding Dump Pouch (Buy on Amazon) gets high marks from it’s reviewers, for many reasons. First of all, the capacity is great. The Rollypoly will hold up to seven 30-round 5.56 mags, or equivalent items. 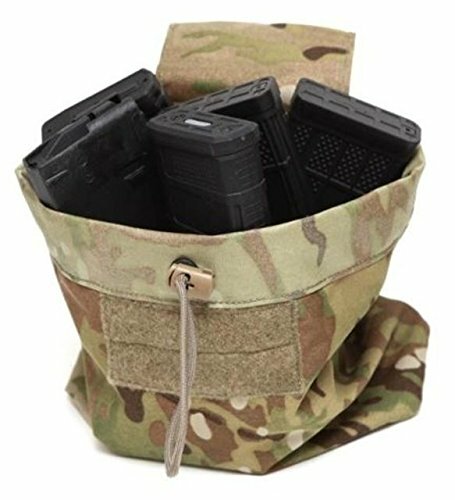 But, it’s not just a mag dump pouch – it can be used as a multi-purpose utility pouch suitable for anything you need to put in it. There’s a velcro (hook and loop) flap on the top that is used to roll the bag up for packing and storage, but it also doubles as a lid to secure items in the pouch when needed. And really, that’s the killer feature of the “Rollypoly” – it rolls up into a very small footprint when not in use. 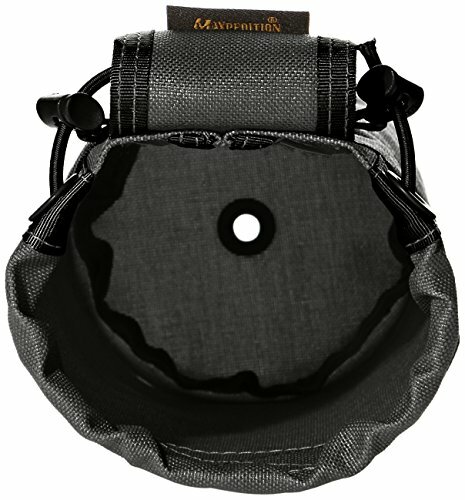 The pouch is made from 1000D ballistic nylon – so it is water and abrasion resistant and not too heavy. How would you attach this to a war belt or battle belt? You can use Malice clips or Maxpedition TacTies. Here you can see the MOLLE webbing connectors, as well as the cinch cord. And, it’s got a grommet/drain hole at the bottom to ensure any sand, dirt, or water is evacuated from the pouch promptly. You’ll need to use some sort of MOLLE compatible clip to attach this to your belt. Two 3″ Maxpedition TacTies will work perfectly, but other MOLLE clips will work as well. Closed loop design provides an extremely secure connection. Once properly engaged, a TacTie strap will not open unless deliberately disengaged by the user. The short Malice clips (Buy on Amazon) from Tactical Tailor will also work with this pouch. Want (or need) a smaller size dump pouch? 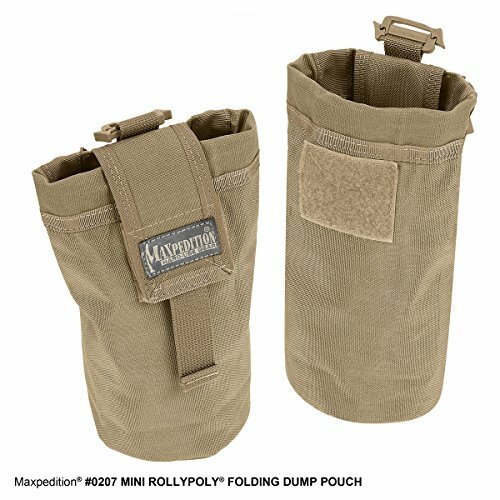 The Maxpedition Mini Rollypoly Folding Dump Pouch (Buy on Amazon) will fit the bill. It’s smaller – only 100 cubic inches of storage – but it will still accommodate a 32 oz water bottle. In fact, the Mini Rollypoly is super-popular just for that purpose – use it to carry extra 32 oz. / 1L Nalgene water bottles on your rucksack or belt. This pouch has all the great features of it’s bigger brother. Here’s a view showing the drainage grommet at the bottom. 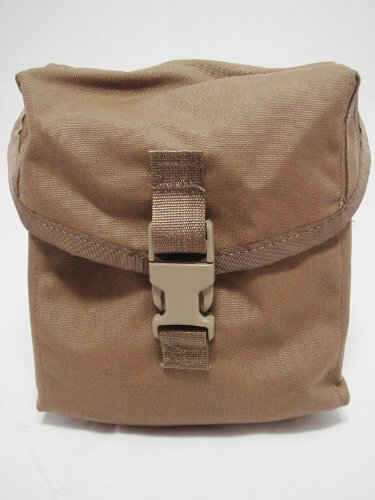 You’ll need the 3″ TacTies or Short Malice clips to attach this pouch as well. Ok, so if there’s a mini, you’d have to guess there is a MEGA sized dump pouch also, right? 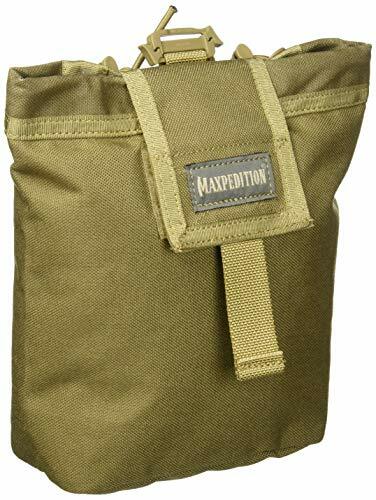 The Maxpedition Mega Rollypoly Folding Dump Pouch (Buy on Amazon) provides a monster sized 500 cubic inches of storage. This will hold 2 full boxes of shotgun shells. When open (and not rolled up) it is 8″ in diameter and 11″ tall. Use Blackhawk speed clips, Malice clips, or TacTies to attach this to your battle belt or other gear. Because it’s so large, it includes a leg strap so you can secure the pouch to your upper thigh. But again, the great thing about this line of gear is that it rolls up into such a compact space when not in use. 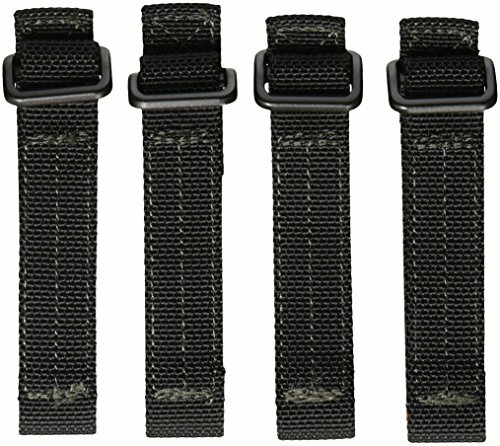 Use any of these robust MOLLE style connectors to attach your dump pouch to your belt. 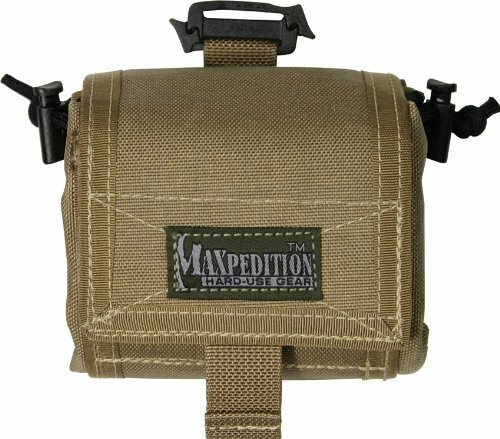 Maxpedition brand 3″ TacTies will work. Detachment is quick and easy by hand. There is no need to use special tools. 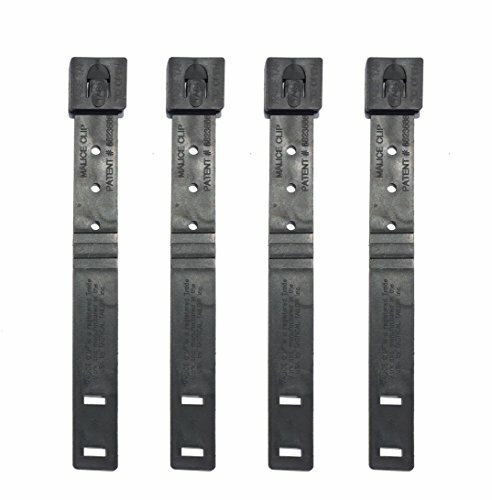 For a quick and easy connect and disconnect – use Blackhawk speed clips. For a robust connection that won’t come apart without a tool – use Tactical Tailor’s Short Malice clips. 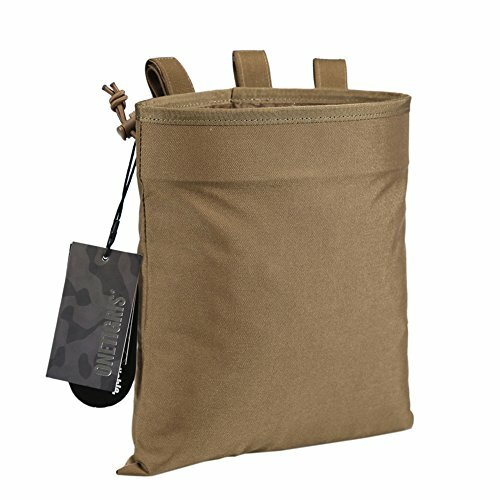 Maxpedition isn’t the only name in dump pouches – London Bridge Trading’s LBX brand brings us the LBX TACTICAL Dump Pouch (Buy on Amazon). This will work with any web belt, or MOLLE clips. It’s collapsible, to take up minimal room when not in use. There is a hook and loop (aka velcro) patch area on this pouch for ID purposes. Available in multicam, ranger green, or wolf gray colors. Here it is full of mags. 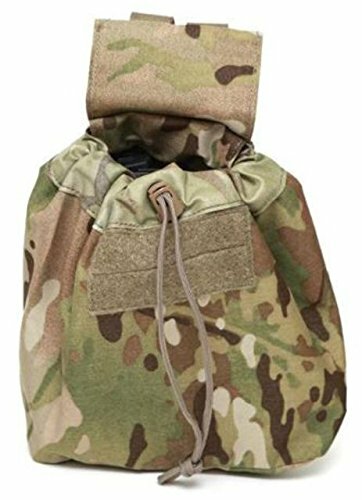 OneTigris makes good quality tactical gear at bargain prices. This pouch folds, has a drainage grommet, and all the connection options you’d expect to find. What people like most about this model is the mouth stays open well. 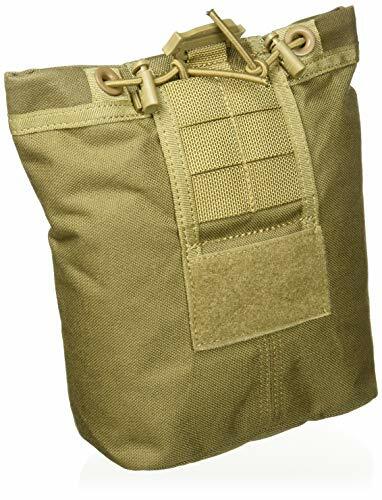 A dump pouch (dump sack) or mag dump pouch is an essential piece of tactical gear. But these pouches can be used for so much more than just on the firing range. Look for a tough, functional dump pouch in the size that you need. Can’t get enough MOLLE gear? Check out our guide to the best MOLLE clips and connectors. TacticalBlueprint.com is a participant in the Amazon Services LLC Associates Program, an affiliate advertising program designed to provide a means for us to earn fees by linking to Amazon.com and affiliated sites. Casio G-Shock – Best Military Watch? What do you need in a good tactical flashlight? We look at the must-have features and help you decide what YOU need.